12 Springs and 70 Palm Trees. Doesn’t this just sound so amazing and warm? Sign me up, please! Tucked away on Exodus 15 we find a verse about 12 springs and 70 palm trees. The Israelites were camping beside the water. Before arriving at this spot, the Israelites had encountered some tough situations. Let’s see what we can learn from them. In Exodus 14:21-22, we read how God opened a path through the Red Sea so the Israelites could cross over. I am continually amazed at what God did with this miracle. The Israelites were probably on a pretty big high after this one. Until they came to Marah. The Israelites moved out to the desert of Shur after crossing the Red Sea. They traveled three days without any water. I am sure they were very thirsty. I know I would be! When they arrived at Marah, the water was bitter. The complaining began. As a result, Moses cries out to God. He answers by showing Moses a piece of wood to throw into the water. The wood piece made the water drinkable. God was so gracious to meet them in their bitter situation. Even though they felt like God didn’t care, the truth is God was with them the whole time. He cared very much about their needs. In fact, I just love what God did next. He led them to the oasis of Elim which had 12 Springs and 70 palm trees. Wow, imagine how gorgeous that must have been. 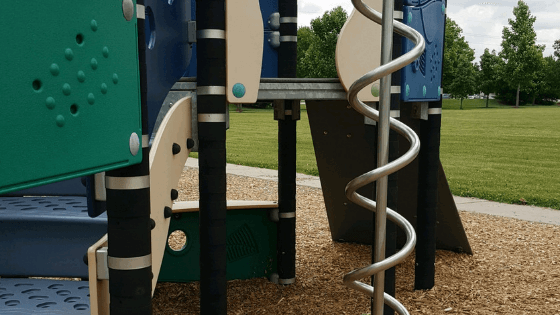 Not one, not three but 12 springs. I also love there were 70 palm trees. The shade must have been very welcomed after traveling in the desert. Again, God was so gracious to provide comfort for His people. Friends, God does the same for you. Our lives are filled with highs and lows. We have bitter moments like Marah where we cry out and wonder what is happening. We also have moments that are similar to the oasis of Elim. God refreshes us. We don’t have to say in the bitter. We can choose to camp on the good like the Israelites did after God led them to the Oasis of Elim. 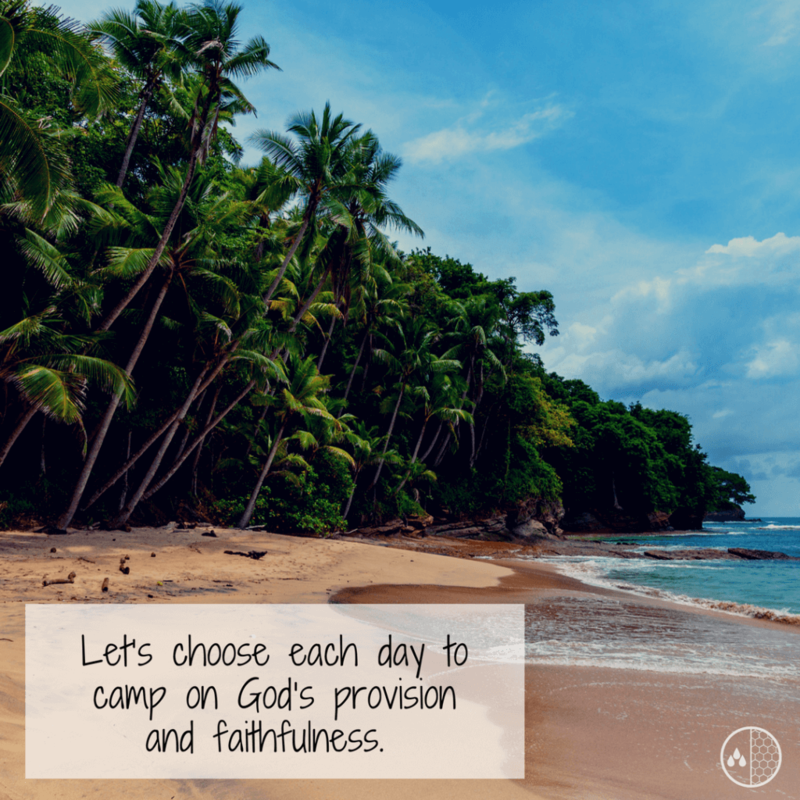 Let’s choose each day to camp on God’s goodness, provision, and on God’s faithfulness. Camp on the many ways He has refreshed you. Will you join me in this adventure? Let’s go camping with God in the 12 springs and 70 Palm trees!